Yoga Therapy techniques to find relief from anxiety. 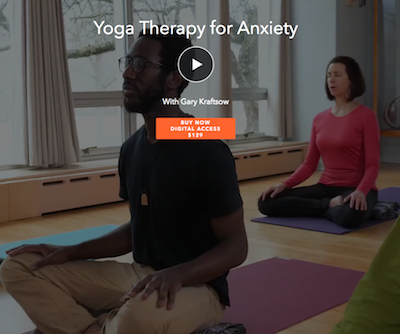 Join Master Teacher and Yoga Therapist, Gary Kraftsow as he talks about how to find relief in stressful and anxious situations and increase your overall vitality and self-confidence. Yoga Therapy for Anxiety was created to equip you with practical tools for working with anxiety. This in-depth course is designed for those who seek to understand what lies behind anxiety in order to transform their relationship to it, and ultimately, transcend its impact.